NEW YORK CITY, New York — The plane of Republican vice presidential candidate Gov. 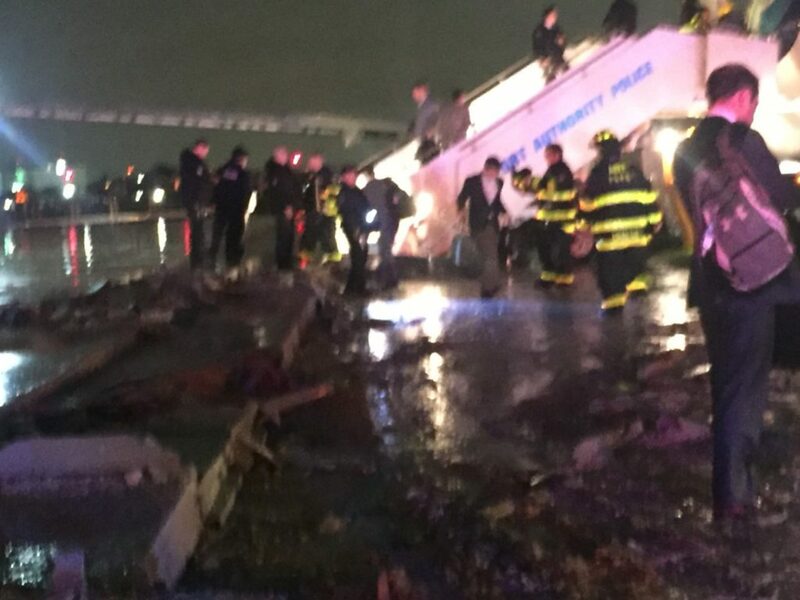 Mike Pence with the governor, staff, U.S. Secret Service, reporters and flight staff on board, skidded off the runway at New York’s LaGuardia Airport on Thursday. Everyone is okay and no injuries are reported. This reporter was also on board. 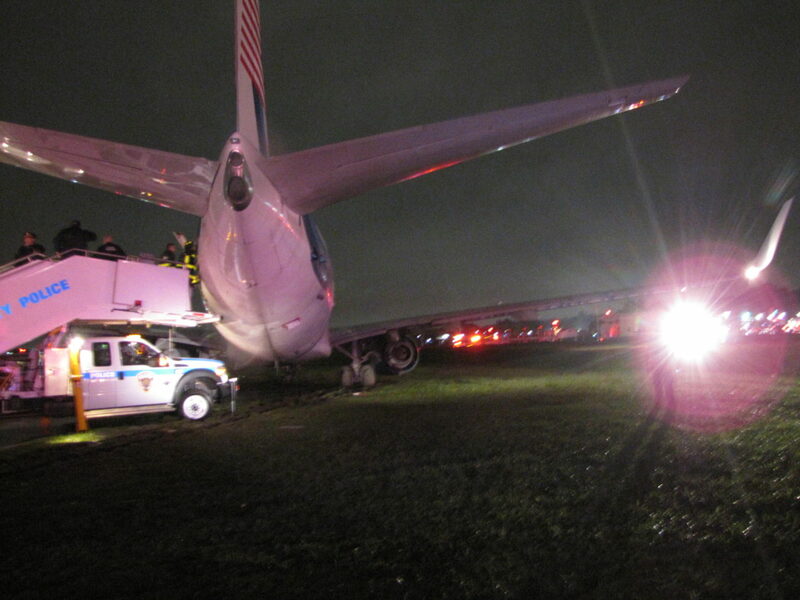 The plane, upon landing, slid off the runway at LaGuardia. 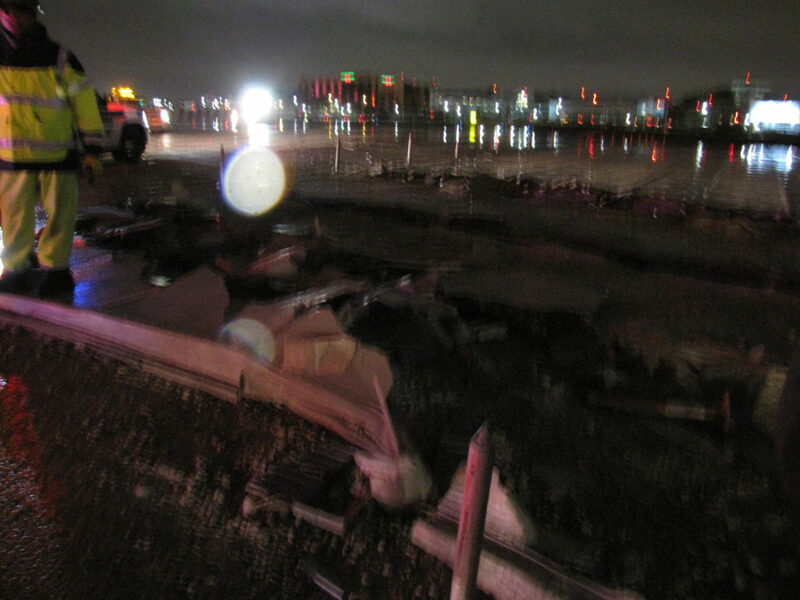 Officials noticed no structural damage to the plane. Thus far, everyone is safe. Mud could be seen on the front windows of the plane. Rescue is on its way, according to a campaign official, and occupants have begun to deplane. As the plane landed and hit the ground, it was bumpy but then the plane began to fishtail. As those on the plane got off, the tarmac was visible. The plane came to a rest at Marine Air Terminal. When the plane came to a stop, Pence came back to the press cabin to check on the reporters. Gov. Pence is also now not going to a fundraiser that was planned for Thursday evening in New York. Earlier on Thursday, Pence’s plane’s landing in Fort Dodge, Iowa, was rough and it appeared the plane bounced. The governor held a rally in Fort Dodge. 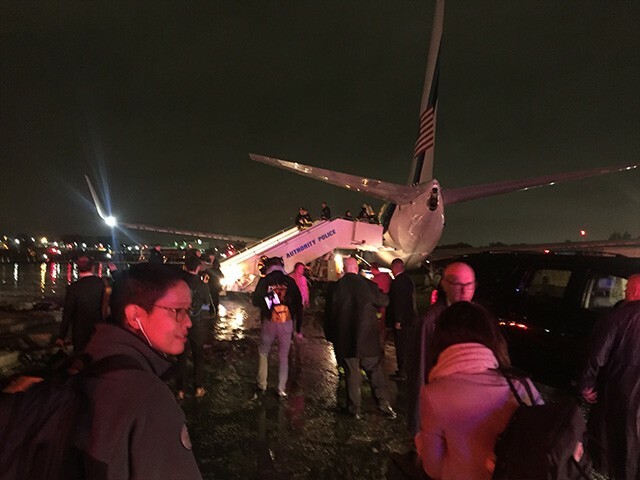 After the rally, his plane had a delay because there was rain and high traffic at LaGuardia in New York City. The governor, his staff, Secret Service agents and reporters threw a football around during the delay until the plane took off again. Per a campaign official, Pence called into the fundraiser he was scheduled to be at and he has also spoken with Donald Trump. Pence’s team confirms they are brining in a new plane on Friday, and will continue on the campaign trail as planned starting Friday morning. He’s staying in New York City, as scheduled, on Thursday evening. Gov. Pence did call in to the fundraiser he could not make it to in person and raised one million dollars for the Trump campaign, per a campaign official. He is doing all planned morning shows in New York tomorrow before taking off on the new plane.